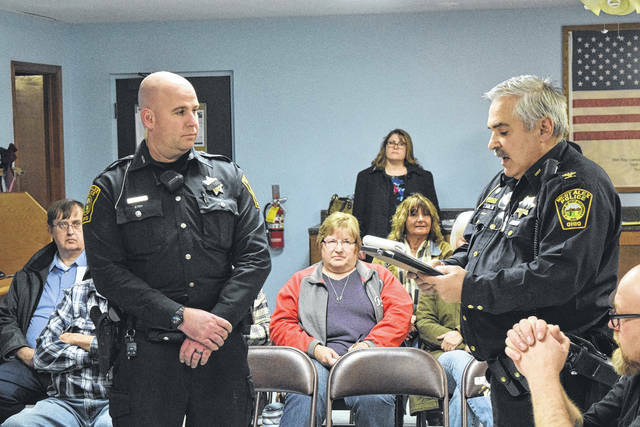 Police Chief Tony Gasper recognized Kaczmarek during the council meeting on Tuesday, Feb. 13. 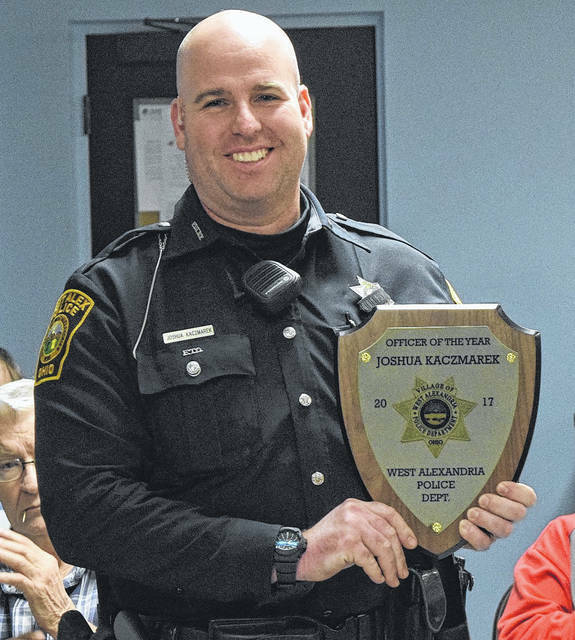 Joshua Kaczmarek has been declared West Alexandria’s Police Office of the Year for 2017. Police Chief Tony Gasper thanked the officer for his dedication, hard work, and achievements this past year. “Since I started as chief, Josh [Kaczmarek] has been an essential part of the department for his administrative duties, as well as his road control duties,” Gasper said. “He was an essential part of completing all of the goals I wanted done within the first year of my appointment. Kaczmarek was presented with a plaque designed by Gasper and was met with applause from the council and residents in attendance. 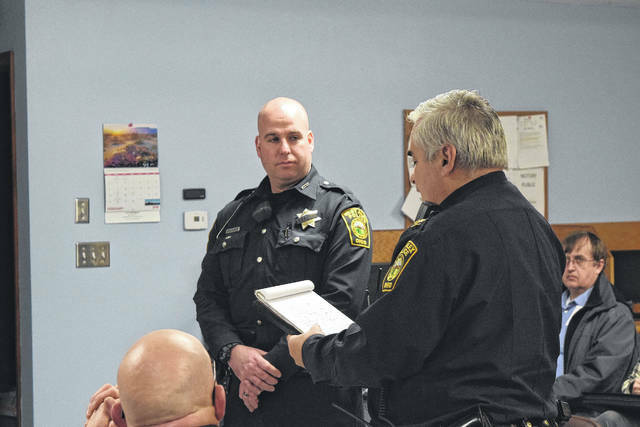 https://www.registerherald.com/wp-content/uploads/sites/41/2018/02/web1_Police1.jpgPolice Chief Tony Gasper recognized Kaczmarek during the council meeting on Tuesday, Feb. 13.
https://www.registerherald.com/wp-content/uploads/sites/41/2018/02/web1_Police3.jpgJoshua Kaczmarek has been declared West Alexandria’s Police Office of the Year for 2017.